Ahh rockers. They offer a win-win. Your baby is comfortable and entertained and you get to stare at him or her for as long as you like. 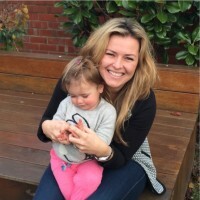 Or, you can grab a much-needed cuppa knowing your bub is safe (and strapped in!). They’re great – particularly when they look as good as this one. 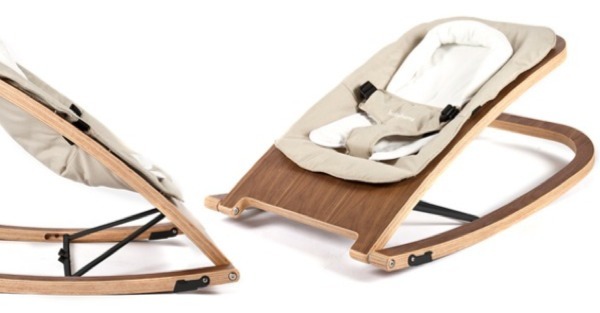 The Babyhome wooden wave rocker has two different reclining positions (along with a stationary position) and a steady front-to-back rocking motion to help relax your baby. It has a three-point harness and removable fabric for easy washing. There are a few colours to choose from, including Graphite (grey), Clay (orange) and a lovely Sand colour. The wood itself is a high-quality laminated wood that you can get in either a light or dark finish – or white. Plus, we’re told that it’s easy to fold, which is always a bonus! There’s nothing much negative to say about this product apart from the fact that its upmarket appeal comes with an upmarket price (as you’d expect – it looks gorgeous). 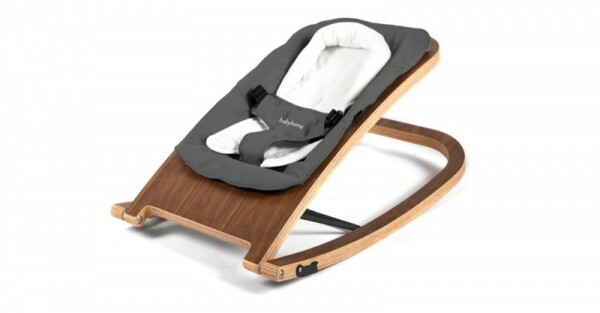 Check out Babyhome for full details or pick a wave rocker up locally from Zoxoro for between $615 and $680, depending on which fabric colour and wood finish you choose.